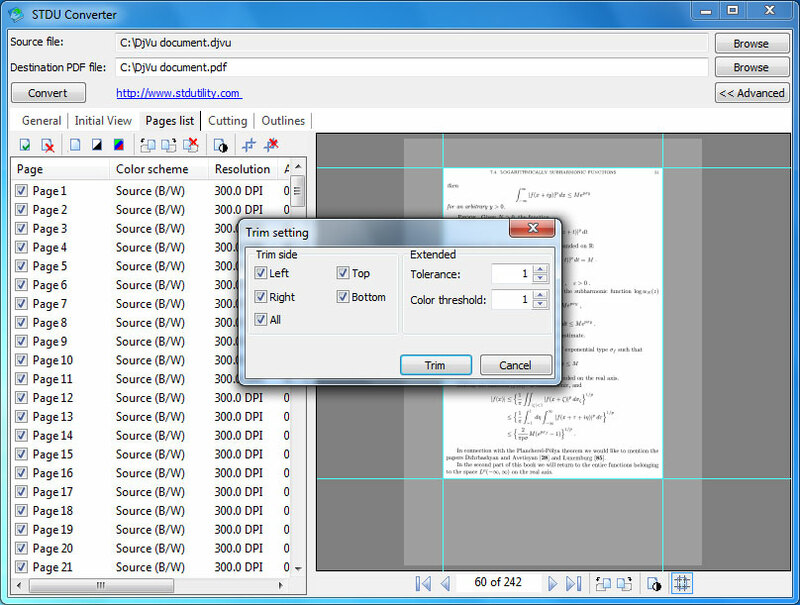 You can select only pages, which you need to convert. 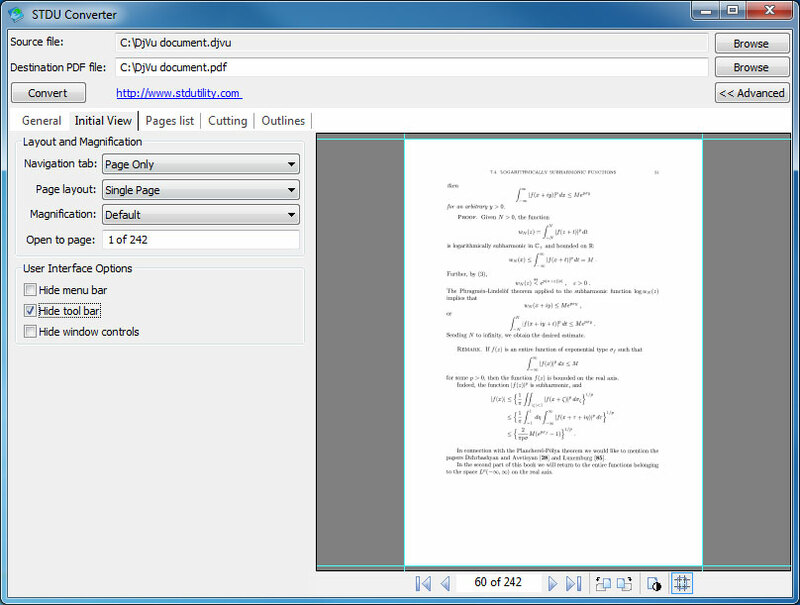 You can change resolution of converted pages, rotate some page and change brightness, contrast and gamma of any page. 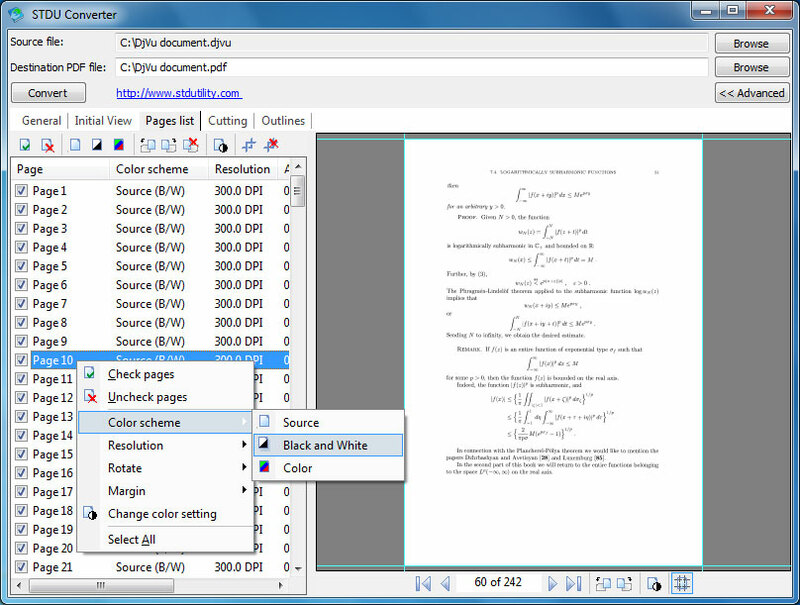 Additionally STDU Converter gives you possibility to remove color information from page (if you prepare documents for reading on device, like Amazon Kindle or Sony PRS). If source document doesn't have contents tree, you can create your own content or edit exisisting. 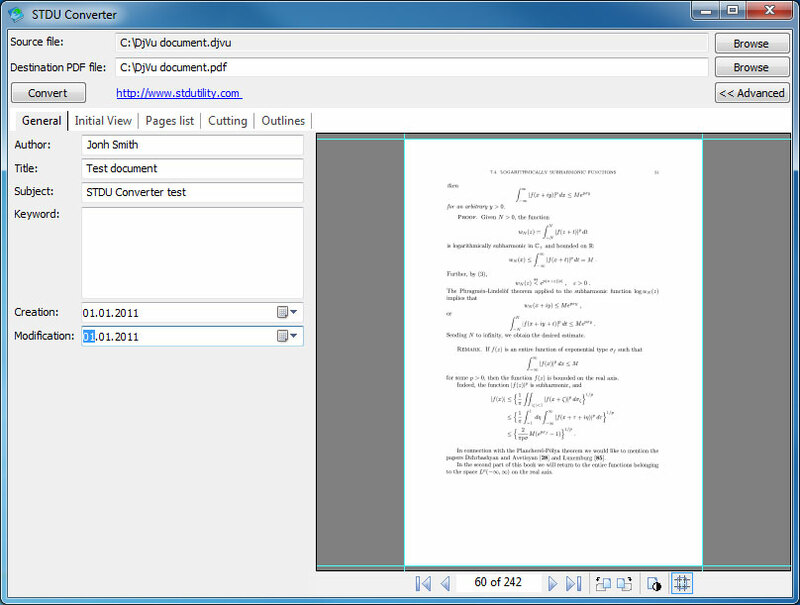 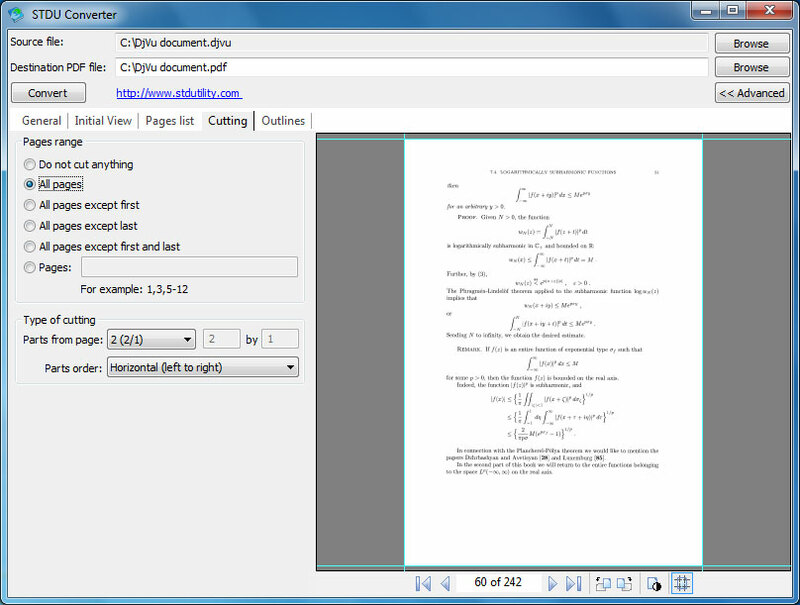 Trial version of STDU Converter adds watermark on all resulting pages.